Welcome back to another edition of Point Blank Student Success. This month we spoke to NYC’s 3X DMC Champ, Dwells, about his early influences, Miami-based DJ/producer Cris Ferro about his creative process and Dividual Recordings label honcho, Wayne Leacock, about the imprint’s upcoming projects. We compile these every month showcasing students that have studied with us for any length of time at any of our locations: London, Los Angeles, Ibiza, Mumbai, and Online. 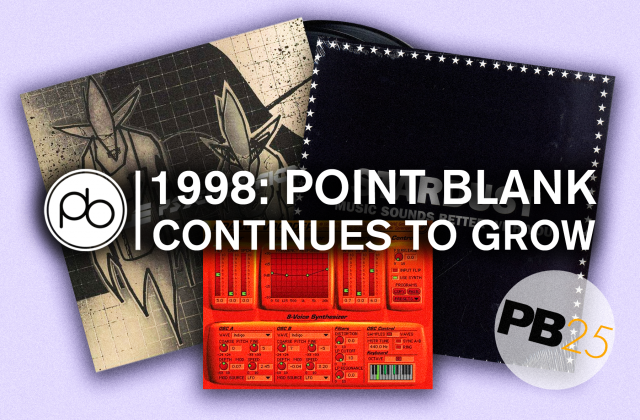 Read on below to learn about these musician’s previous experiences at Point Blank and the exciting projects they have in the pipeline. 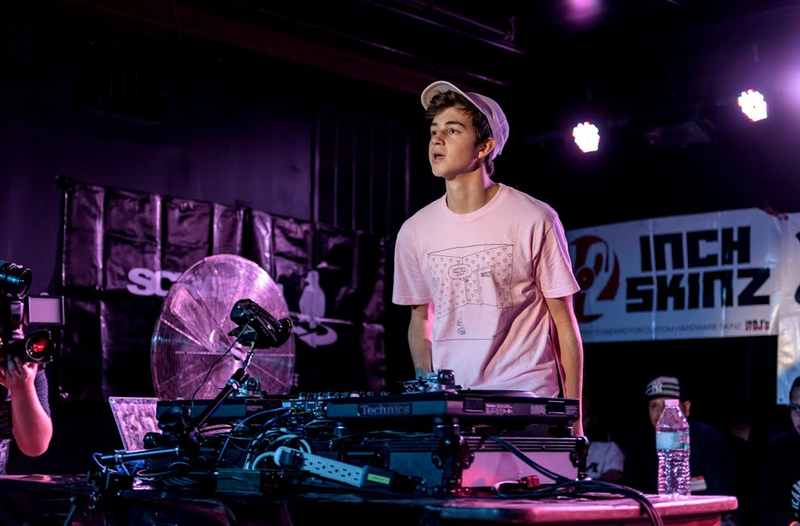 Dwells is an 18-year-old DJ who’s already proved himself in the world of scratch battling. He’s been crowned the winner of New York’s DMC Championship three times and has placed first in a roster of other competitions and battles. He’s gained the support from the likes of A-Track and more and is now working on the production side of music with the plan to inject his scratching and hip-hop influences into his sound. How long have you been DJing / what inspired you to start? I was obsessed with 90s hip-hop as a kid, with a specific focus on the DJing element. Things like Ali Shaheed’s drum scratching on “Can I Kick It” and all the scratching and sampling on Madlib’s The Unseen, as well as any old Premier cut were all inspirations to me. I would always bug my mom about wanting to DJ and after a while, she was able to afford 2 Technic 1200s which she bought off some dude in Queens, I think. That was when I was 12. It didn’t take long till I realised that the battle scene sort of encompassed everything I loved about hip-hop. A year later I won my first DMC at 13. You’re the 3x DMC NY Champ – Congratulations! Have you got any competitions lined up for this year? Yeah, thank you. I’m not focused on any battles right now, actually. I’ll always love that world but I feel like I’ve proven myself in it and achieved what I needed to. It’s time to innovate in other areas. DJing has awarded me a lot of great opportunities but I can’t really determine any specific highlight. Getting to meet and talk to artists that inspire me is always cool. Moments like that always feel like highlights until they’re over and you need to move on to the next thing. Looking back will only hinder your progress. What’s your go-to gear to use for practicing/ battling? For battling, I always just used two Technics typically with a Rane mixer in the middle. Right now I’m using a Pioneer S9 mixer and 2 Denon turntables. Most modern turntables just do the same thing so I don’t think it matters what kind you have. If it spins at a consistent rate, you can do dope things. For production though, I have Ableton, a mini keyboard, and a 404. What advice would you give to someone who’s interested in learning how to scratch? Just keep practicing if you’re determined to learn. Also, detach the fader from your mixer and carry it everywhere with you. This way you can practice your fader hand movement on the go. That is essential in the learning process. You’re currently studying Music Production with us! What inspired you to venture into the realm of making beats? Music production was always in my plan from the start. Creating routines for battles was dope but it started to feel like a limited form of expression. Production obviously gives you a lot more options in the creative process and that’s what I’m enjoying right now. I think my background in turntablism also gives me a unique ear for weird grooves and samples. My stuff’s already wavy, even though I’m not even close to how I want to sound yet in terms of production. I’ll never get there though because where I want to be in a year will change up when I get there, you know? I’m resolute with anything music related so all I need to do right now is create every day and I’ll get there. Are there any things you’ve learned with us so far that really stick in your memory? Yeah, there are tons of things about the industry, recording, writing, and the psychology of music. Also, I’ve garnered a better understanding of my skillset and sound and what I need to improve on to be a threat at all positions. Right now, just studying and creating. I think it will be a while till I get my beats out there so in the meantime I’m trying to create and share short DJ routines weekly. Those are available on my Instagram: @dwellsss. I also just finished a mix for the rap station, Shade45, which you can find on my Mixcloud with the same handle. Even though I’m not battling, I’m always going to incorporate scratching and creative DJing into what I do. I’m just looking forward to seeing where I can go with it all. Dividual Recordings is the brainchild of Wayne Leacock, a former Point Blank Mixing & Mastering student. The imprint encompasses all aspects of creativity including an electronic dance label, radio show, podcast, production outfit, and a music media agency. The Dividual collective have a strong focus on free expression through music and since its creation, have released over ten releases on Beatport, Traxsource, Juno, iTunes and more and have well over 100 Dj Mixes on Mixcloud for your listening pleasure. Learn more about the Dividual vision below. I first heard of Point blank via its association with Danny J Lewis many years ago. In 2007, when I studied Sound engineering at Newham college, my course teacher introduced us to different pioneering organisations within the electronic music industry and I recognised the Point Blank name. Since then I’ve always associated the school with longtime DJ and producer Danny J Lewis. How did the school help in building your music career? I studied two modules whilst at Point Blank: Mixing Electronic Music and Audio Mastering. both were very informative and extremely influential in helping me develop the Dividual Recordings sound as well as the direction it’s heading in terms of sound and production. I must say though, one of the best perks about the Point Blank Music School, in addition to the online courses and facilities, is the option to collaborate and make new friends. I would say the community there is a great thing to be a part of and helps tremendously in furthering your music career. I studied sound engineering in 1997 for two years at Newham college when I was still heavily into drum n bass. I learned my way around a Spirit Soundcraft mixing desk in those days whilst I was mainly using Cubase. The course was great – I learned so much and made many great friends. It also spawned my undying love for the studio and music production. Most of the equipment at that time was outboard featuring Akai samplers, emu and Roland synthesizers, drum machines and lots of midi cables. Yes, certainly. 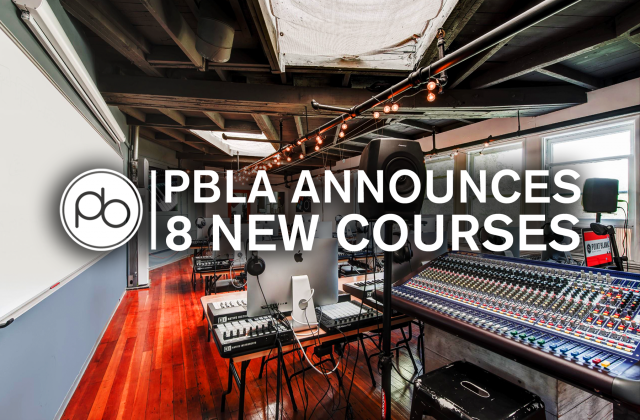 The great thing about studying with Point Blank is that it gave me the right information and experience to not only transfer my old skills from working with outboard gear to digital platforms. My studies also equipped me with the precise in-depth information on how to get the best out of the digital platform and merge the two to produce great results. It could not have been better. Dividual Recordings is an electronic dance music label, radio show, podcast, production outfit, and music media agency. We are integrating ourselves within the music industry in as many ways as we can right now. We know the sound we want and we know how to achieve it. We are currently building the profile and reputation in order for us bring our sound to the public. It’s an amazing journey. Could you tell me a little bit about Dividual Recordings and how it came to be? Dividual Recordings is about “Free Artistic Expression”. We make house music – a genre which revolves around people being free to express themselves through love in any shape form or fashion. The beauty of fusion in house music alone expresses that, and we know it starts with “You” The listener and so our motto is “Be You, Be Love, Be Dividual”. Dividual Recordings was created from blending different genres of house music that we like to dabble with. I had already released remixes on a few other labels including Universe Media and Natural Essence Records and had the pleasure of doing some remixes for the Ignorantz Rnb outfit and more. There’s such an array of genres, from soulful to disco to afrobeat house music. Me and my partner, Luna Piros, wanted to create a home of free expression where it’s all about the music. Thus, Dividual Recordings was Born. We’ve got new music from some higher profile artists coming soon. We’ve developed our monthly Spotify podcast, “The Dividual Dance Music Show”, which is currently running. We’ve got new music videos coming soon as well as developing something we like to call D-Visual. In addition to this, we are also prepping the release our first Dividual Recordings compilation. We are very busy at present and the work I have done at Point Blank music school has been a great support to everything we are doing and will be doing in the near future! Point Blank Music School is number 1 in my opinion. 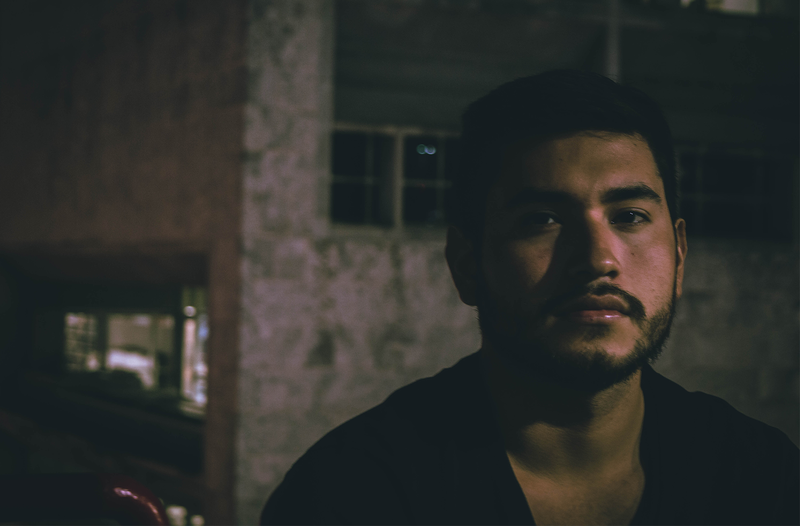 Cristhian Fernandez, AKA Cris Ferro, is a 23-year-old DJ and producer from Miami who makes music for the dancefloor. His beats are packed with rolling percussion and deep melodic basslines glued together with punchy kicks and hooky vocal cuts. He has received support from some big media platforms with reviews on WERAVEYOU, EDMNations and more. He’s a big EDM head at heart but has a few tech house projects in the bank which he’s ready to unleash on the world this year. Learn more about his sound below. I discovered Point Blank looking up music schools for electronic dance music production during my freshman year of college. Point Blank caught my attention due to how well their class structure worked. It has helped me quite a lot honestly. I started by taking electronic music composition with Steve Hillier, which provided me with the foundations of what I had to do. I then developed these skills by taking mixing and audio mastering course. I have always been a fan of EDM, I was the first kid from my high school to actually go to Ultra Music Festival in Miami. EDM always caught my attention from listening to it on YouTube videos and video games. I always wanted to learn how to produce but did not have the time with so much school work. Once I was settled in university, around my sophomore year, I decided to take it to the next level. Yes! mixing electronic dance music with Ben Medcalf helped me tremendously. It taught me how to organize my projects for faster workflow and how to properly level up your volumes depending on the vibe you’re trying to accomplish. What’s your creative process like when writing a new track? I always find inspiration by playing around with my midi keyboard or my Maschine Mikro MK3. I play around with drum loops and also go over samples in SPLICE. This has helped me tremendously, to be honest, I would definitely recommend it. Are there any artists you think we should be looking out for on the club scene? This year the artists that have surprised me the most are Wheats and Siege (both from Toolroom Records). Their productions are amazing and super clean – you guys should definitely check them out. this year I have been mostly quiet due to University, I only had the chance to release two songs. they did pretty well on my Soundcloud with over 10K plays and were also released on my Spotify. I am definitely looking to play more shows in Miami and have been working on a couple of projects that should be done by the end of this year. 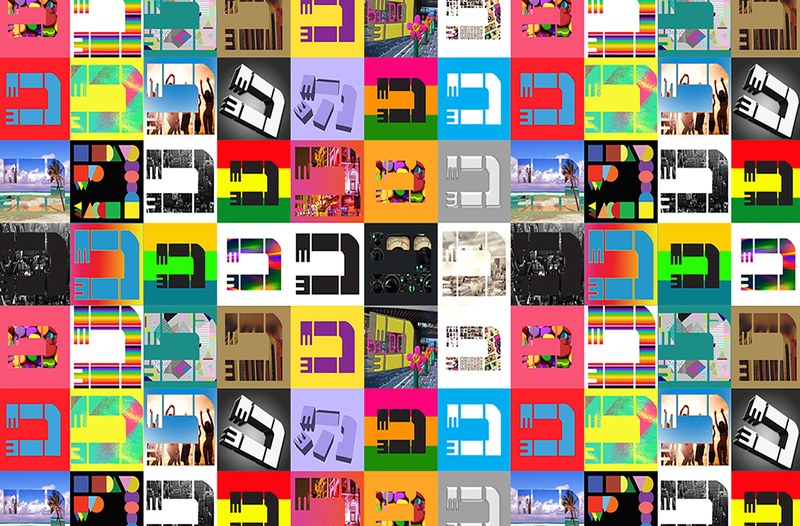 I have switched my style more towards tech-house so these new projects are very exciting. I Can’t wait for you guys to hear them. I want to start 2019 strong. Successes such as these are common among our students and alumni. We can teach you how to DJ like the best of them at any of our schools. If you’d like to learn how to produce, then we can build your skills from the ground up with our range of degree programmes, including the latest addition, the BA (Hons) in Music Production and DJ Practice. All of our degree programmes are quality assured by Middlesex University. For more information, you can contact us here.